West Virginia’s Nechochwen was formed in 2005, as an outlet to explore the history and heritage of the Eastern Woodland Indians. Originally a solo project of Nechochwen, the band’s early material consisted of atmospheric acoustic guitar passages and ambient musings. Over the years, Nechochwen began incorporating distorted guitars and percussion, adding bassist and drummer Pohonain along the way. The band slowly merged towards a lofty amalgamate of folk and black metal while continuing to retain a lot of the neofolk tendencies that they began with. A decade after formation, Nechochwen brings their fourth opus, Heart of Akamon, which was released as a collaborative effort between Bindrune Recordings and Nordvis Produktion in September of 2015. The band had been hinting at heavier things throughout the years, but Heart of Akamon sees the band at it’s most ferocious. While the album is heavy and destructive, with intricate tremolo riffing, blasting percussion and roughshod screams, the sound is balanced out by dramatic acoustic twining and Native American flute passages. The resulting amalgamation writhes and breathes, flowing cleanly from passage to passage, be it roiling folk with clean chants, cataclysmic blaring or crushing moments of doom. Atmospheric, intense, and grandiose. The guitar riffs are intricate and intense, weaving a progressively tinged patterns of distorted passages, yet perhaps the classically tinged acoustic guitar passages are more breathtaking. Both styles show Nechochwen’s ability to convey somber moods, capturing the sorrowful essence of the struggle Native Americans must have felt when forced to journey westward, saying farewell to their homes and the lives they knew. Yet in spite of all of the sorrow and hatred they must have felt, there was also a sense of pride and solidarity, which is reflected in moments of uplifting chants and lofty melodies. Heart of Akamon embodies a great deal of emotion. It’s an album that lives and breathes, channeling the lives of a proud people who were undergoing an enormous change. The care and emotion that this album was crafted is evident, as everything flows together naturally. Nechochwen’s discography has been really good thus far, but Heart of Akamon elevates the band onto a whole new level. 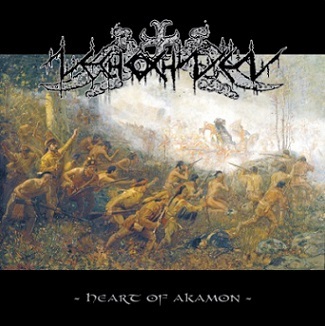 An amazing mixture of folk/black metal and neofolk with tinges of doom and atmospheric grandeur, Heart of Akamon will likely go down as one the genre’s greatest triumphs. This is an album that is not to be missed and will be gracing many a year end best of lists. 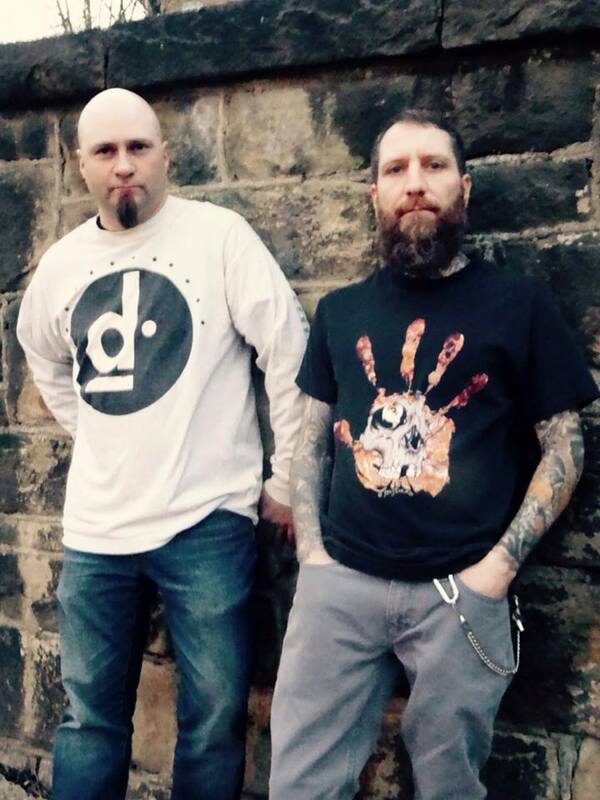 This entry was posted in Reviews and tagged Appalachia, Bindrune Recordings, black metal, folk, folk metal, Heart of Akamon, Nechochwen, neofolk, Nordvis Produktion, West Virginia.